Like an anchored buoy in a sea of change, Alan West is prepared to stand firm amongst the contemporary new wave attaching itself to UK country music. 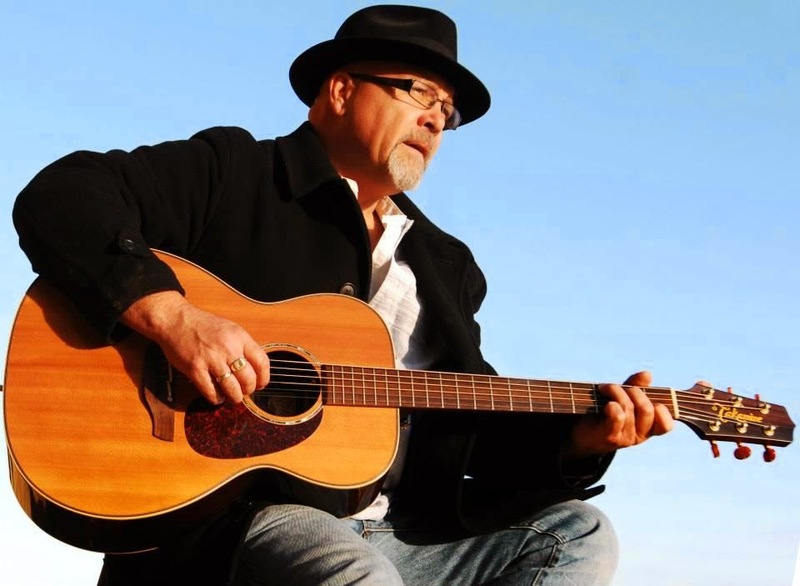 Not afraid to mix it with the young pretenders (including hosting a mid-winter festival featuring many and playing C2C pop up stages), Alan is acutely in touch with his perception of country music and ALL THINGS FOR A REASON refuses to budge from a deep passion installed many years ago. 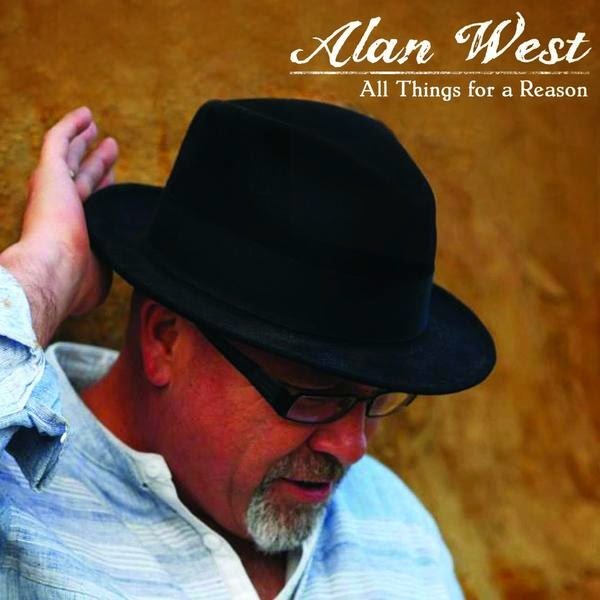 Alan first crossed my path around half a dozen years ago when supporting Hal Ketchum in Wolverhampton and although active on the UK scene for a number of years, this new album is only his third studio release. However, alongside his long term accomplice Steve Black, Alan has recorded an album strong on principle and a timely reminder why country music possesses genre credentials. Questions are often raised about British artists positioning their mind 4000 miles west when making music, but Alan fully understands the country music market having some affiliation with the romanticism of American culture and he refrains yielding from these shared ideals. For the eleven tracks that add up to the sum of this full length release, two are borrowed, with the remainder predominately coming from the trusted pen of Steve Black. The most striking of these solo writes is the quintessential American storytelling epic ‘Numbers’. The style and theme may be far from virgin ground but the song is expertly constructed and delivered with its developing heartfelt sentimentality. While the themes of many songs are explicitly wrapped in the Star Spangled Banner such as ‘Come on Home’ and ‘Hillbilly Woodbines’, Alan wisely steers clear of pseudo accents and thus retains authenticity in being a trusted interpreter of international country music. Released on UK independent label NEO Music, ALL THINGS FOR A REASON had its final stages of fruition come together in a Nashville studio, often the ‘go to’ destination for the recording of a country album. Nashville has also played an important role in the career of acclaimed US songwriter Hugh Moffatt who kindly donated the album’s second track ‘The Way Love Is’. The other borrowed tune is far more familiar and Alan unashamedly hasn’t dug too deep for it. Admittedly, up tempo versions of ‘Take Me Home Country Roads’ are more suited to this John Denver classic but this hasn’t deterred Alan going in the opposite direction leaving the listener to ultimately decide on whether it works. Other tracks of noteworthy on the album, although it has to be said that each one is there on merit, include the Tex-Mex border feel to ‘Maria Delores’ and ‘It Pays To Be’ which takes the award of being the most retro friendly track, cue a rustle through Hank’s back catalogue to find its inspiration. Alan’s sleeve notes use the analogy ‘all things for a reason’ to explain the lengthy gap between releases and follows this by using the album’s title as the closing track thus preaching the philosophy of never giving up. The true beneficiaries of this theory are the listeners to ALL THINGS FOR A REASON and they will be grateful that Alan and Steve persevered with the making of the record. Engaging and interesting songs supported by musicianship curated to provide the essential country sound make this an album worth investing in. It also provides a focal point on the UK scene to ensure contemporary artists don’t drift too far away from the ideals of country music.